Sonic the Hedgehog’s getting a new TV show next year. Sonic the Hedgehog’s getting a new TV show next year. 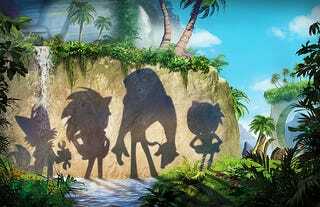 Sonic Boom—a CGI cartoon described as Sonic and Tails’ “never-ending search for adventure”—will be debuting on Cartoon Network in the fall of 2014. It’s being produced by Genao Productions. Full details here.